I asked her how she made them, and for some reason or another didn’t get around to making them until today. Making Oreo truffles at home are incredibly easy [not good for someone like me who has a major sweet tooth], and take no time at all. Although there are a few steps involved. Not only is it easy to make, but only requires three ingredients. Take about 4-5 Oreos and finely crush them [in a food processor]. Set aside for later: you will use these to sprinkle on top of the truffles. Finely crush the rest of the Oreos [in a food processor]. Add your cream cheese and mix the two ingredients until they are combined well. Take about a teaspoon of the mixture, roll into a “ball” and lay on the baking sheet. I made 36 truffles, but quantity will vary and depend on the size you roll the truffles into. When the baking sheet[s] are full, set it in the refrigerator for about 10-15 minutes so they are easier to work with. Once you take them out of the fridge, they will be easier to roll them into balls if you couldn’t before because of the gooey texture. Melt the dipping chocolate as per instructions. It took about 90 seconds to melt for me I’d say. Using two teaspoons [or a toothpick], dip each of the balls in the chocolate, and lay back on the lined baking sheet. Immediately sprinkle them with the Oreo crumbs you set aside before. 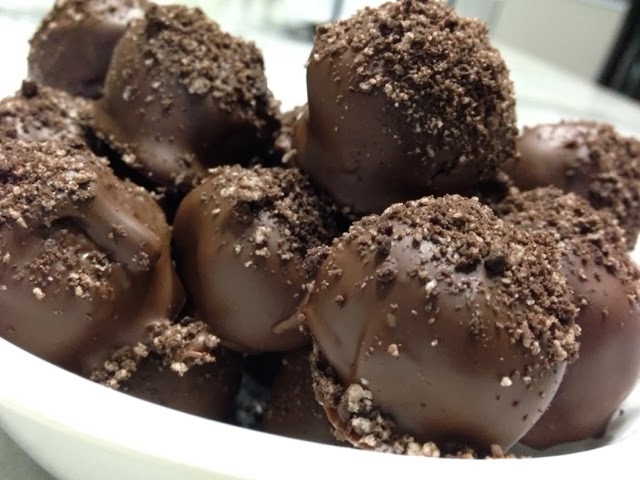 Tip: sprinkle the truffles right away because the dipping chocolate hardens fairly quickly. Don’t wait to do this part at the end once all have been coated. The truffles can be eaten right away [which is of course, what I did], but I’d set them back in the fridge to firm a little more. I used a food processor for everything, but you could just as easily crush the cookies in a ziploc bag and then just mix the cream cheese and Oreos together. 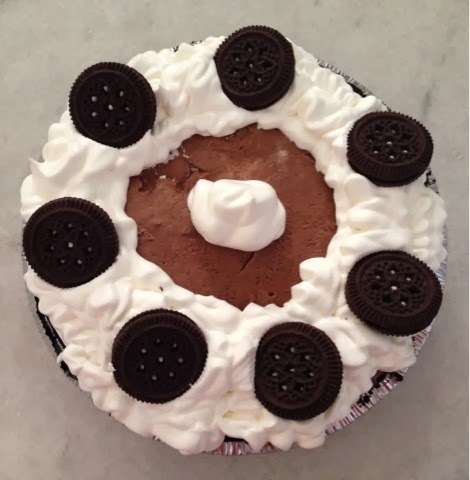 Early November, I made a frozen Oreos and Chocolate Pudding Pie… yum! 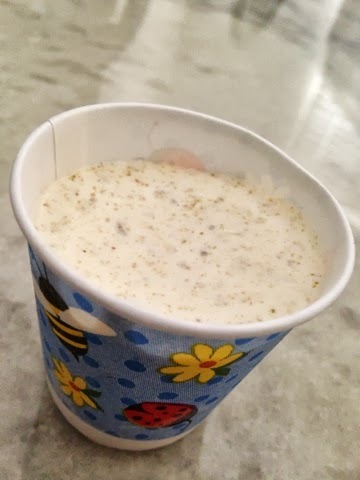 I made this one frozen, because without a second thought I put it to set in the freezer instead of the fridge in the chaos… but it would be just as good [and I plan to try it next time] cold, but not frozen. Combine the milk and pudding mixes and mix well. Add about half of the cool whip and fold until the mixture is a smooth and consistent color. Pour about half of the pudding on top of the pie crust. Add a layer of Oreo cookies on top before adding the rest of the pudding. Freeze until set [or overnight] before decorating the top with the rest of the cool whip. And more Oreos. See, it is the next task I took on… just six months later. And by accident. Some a long time ago, like back at the end of August two days before a party at our house when I had a million other things to be doing, I decided that I needed to reorganize the way I organize my hijabs because they currently use up 4/6 of my dresser drawers. Not that I had other priorities at the moment or anything with 80+ people invited. 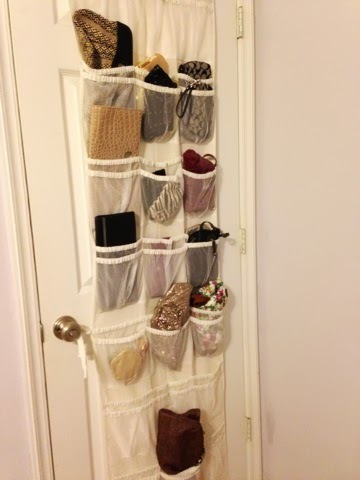 This door pocket organizer [that I’ve had at the bottom of my closet for the almost three years I’ve lived in the house] now houses some of my clutches, wristlets, small purses etc. The main reason I didn’t end up storing some of my hijabs in this pocket organizer? The pockets weren’t opaque. I couldn’t see them unless I pulled them out, and that defeated the purpose. I wasn’t about to pull out each hijab trying to find which one I wanted to wear. I’m an out-of-sight, out-of-mind type of person for sure for things like this. Any ideas for the larger purses and bags? I’m thinking of just throwing them in a basket like container and storing it inside my closet, but let’s see. I’ve done Blackberry Crumble Bars in the past, and early November I made something similar: a blackberry cobbler. Mix together your sugar, flour and milk. Melt your butter in a microwavable dish. Combine your butter with the other ingredients and mix it well. Pour your batter into your baking dish. 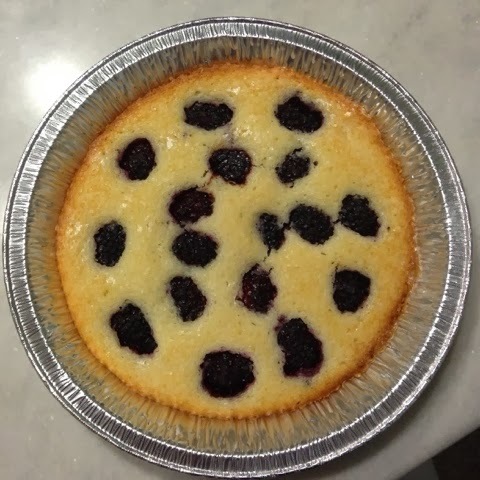 Sprinkle blackberries over the top of the batter. Sprinkle a little extra sugar over the top. Bake, in your preheated oven, for about 50 minutes [or until golden brown]. 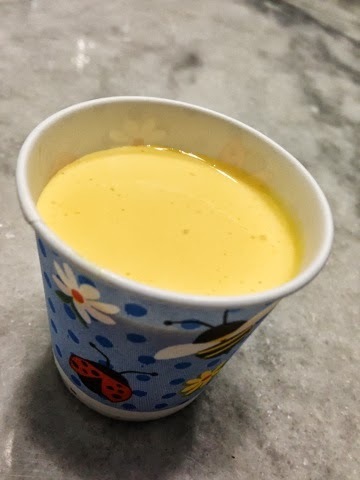 Very similar to the mango ice cream ingredients, and just as easy. Once again, you just pretty much combine the ingredients, and freeze! Almonds and Pistachios, to taste, grinded. For the almonds and pistachios, for the above quantities, I’d say I used about 3/4 cup of each. Mix everything together and freeze. Either in Popsicle molds or something similar. Tip: if it’s being made for a party, we divide them into small singled-serving-sized cups before freezing for convenience. It’s easy to serve, and eat! Cheesecakes. I love them. As it isn’t apparent by the number of different kind of cheesecakes I have made in the last several months. 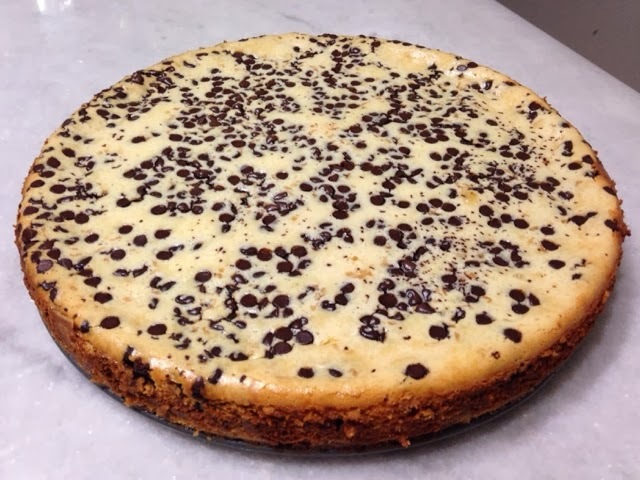 To think I always thought cheesecakes were so difficult to make makes me laugh now. Anyhow, for Shazia’s bridal shower yesterday, I made a Turtle Cheesecake with an Oreo based crust. Turtle? What’s a turtle you ask? Not exactly sure why, but it’s the combination of chocolate, caramel and pecans. And that’s exactly what my cheesecake this day was. And the Oreos? Well, that was just for fun. Crumble the [Oreo] cookies and press onto the bottom of your [springform] pan. This is your crust! 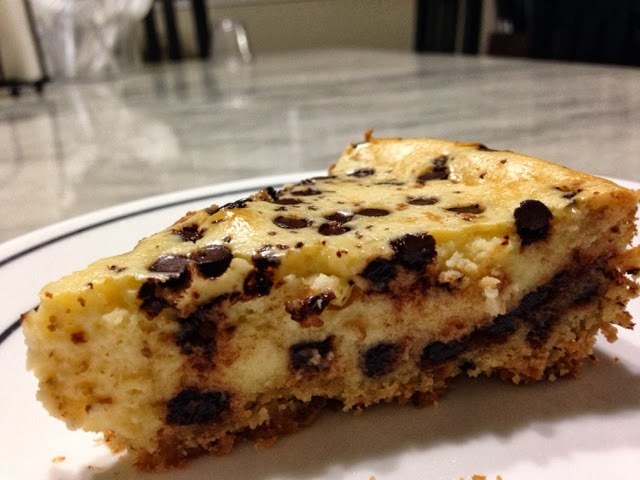 Combine the other four ingredients [cream cheese, vanilla extract, eggs and sugar] until it is a smooth mixture. Then pour over your Oreo based crust. 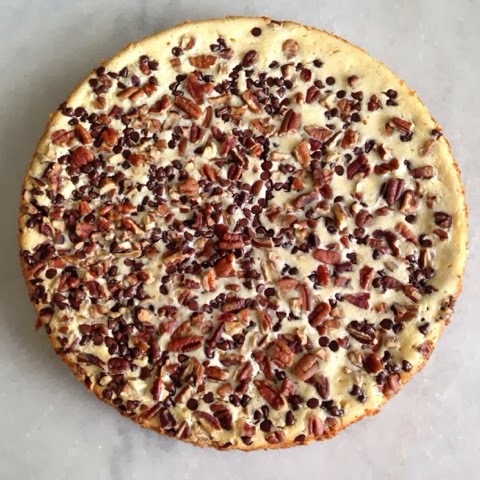 Sprinkle the top of your cheesecake batter with mini chocolate chips and pecans. Two out of three of the “turtle”. The third, the caramel, will be drizzled on top right before serving. Bake, in your preheated oven, for 50 minutes. Let it cool completely before removing it from the [springform] pan and cutting into it [to give the cheesecake time to settle]. 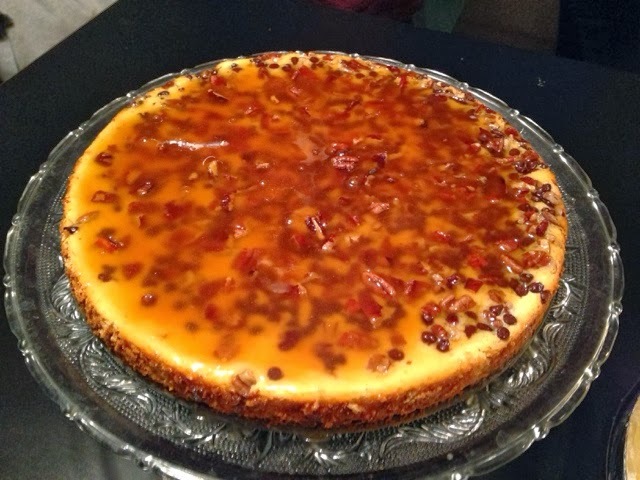 Right before serving, drizzle the top of the cheesecake with caramel. I love mangoes, but ironically not anything made out of mangoes. This mango ice cream, however, is something the rest of my family loves [and everyone else]. Weird side note: my brother Ayaz won’t eat mangoes but loves mango juice! Mix everything together, and freeze. Can it be any easier? 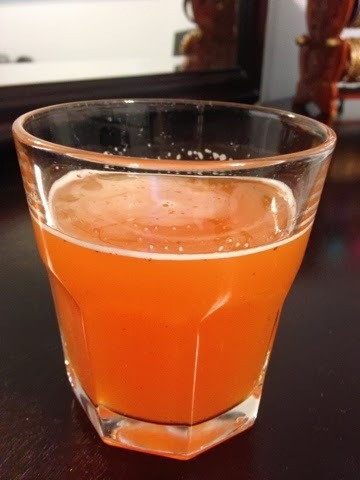 A family favorite fizzy beverage is a strawberry and pina colada combination that we have done often. For our family party at the end of August, however, I wanted to make something different. This time, I did a mango and strawberry combination. To sprite, add a splash each of mango and strawberry margarita mixers. Add ice. Mix well.When I made the party size version [for the one at the end of August] in the dispenser, before mixing all the ingredients together, the combination of the strawberry and mango mixers looked like a sunset… so I decided to call it the “Sunset Fizz”.